Close your eyes and think of Koh Samui – what do you see? 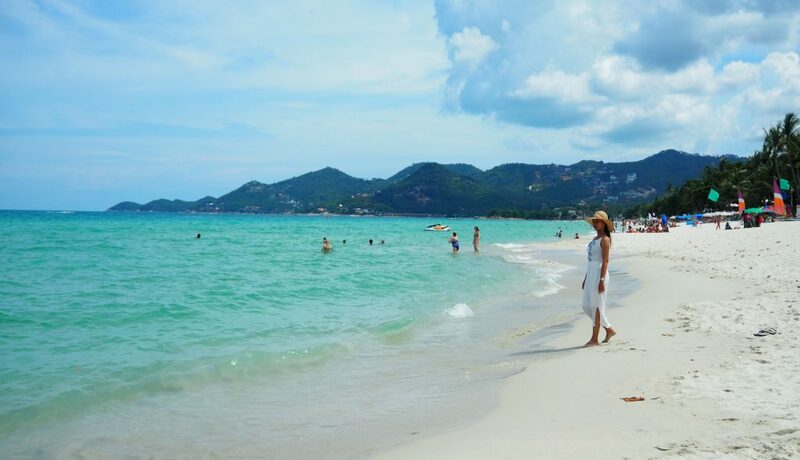 Maybe you’re thinking of Chaweng Beach: the busiest, prettiest and liveliest spot in Koh Samui. But did you know this amazing island has so much more to offer? 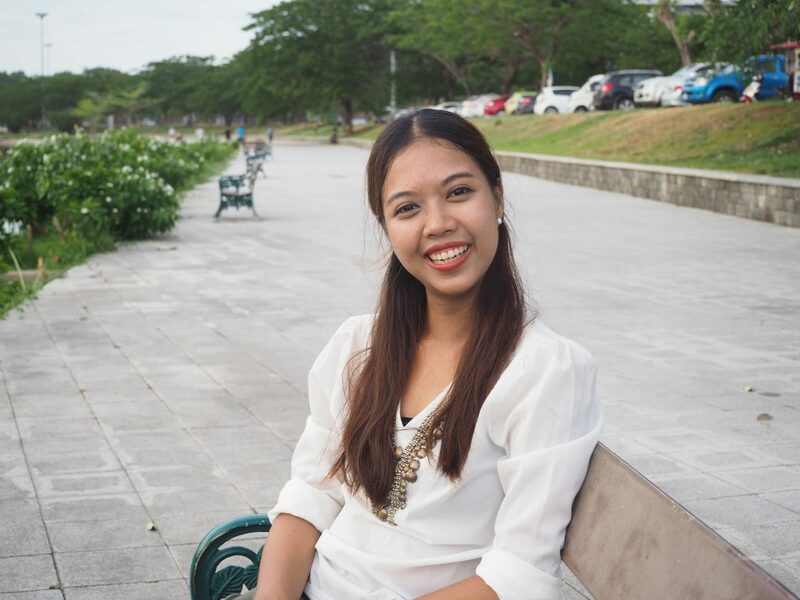 It’s nice to meet you everyone: I’m Fay, one of Amari Koh Samui’s lovely Amari Hosts! Originally from Bangkok, I fell in love with our heavenly island a few years ago and has been living here since. I’m always happy to give itinerary suggestions and was delighted to hear that I’d be taking you all on a day trip around the island! I loves discovering new spots around Chaweng Beach, as there are many things to do and see, day and night. Let’s go! If you’re travelling by plane, be sure to take notice of a nearby mountain while the plane taxis in or when you take the tram to/from the terminal. 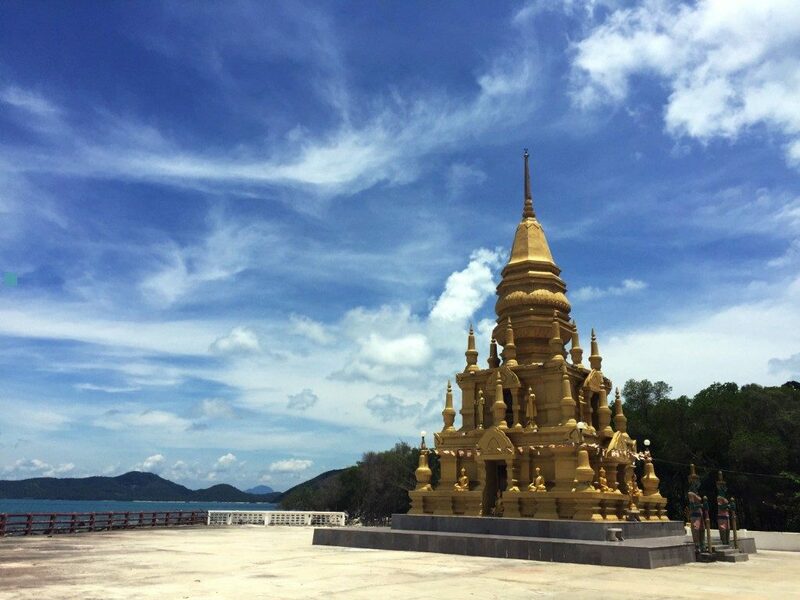 You’ll find a golden pagoda gloriously sitting brightly on the mountaintop. From our hotel a visit to the Golden Pagoda is a mere 30-minute ride. 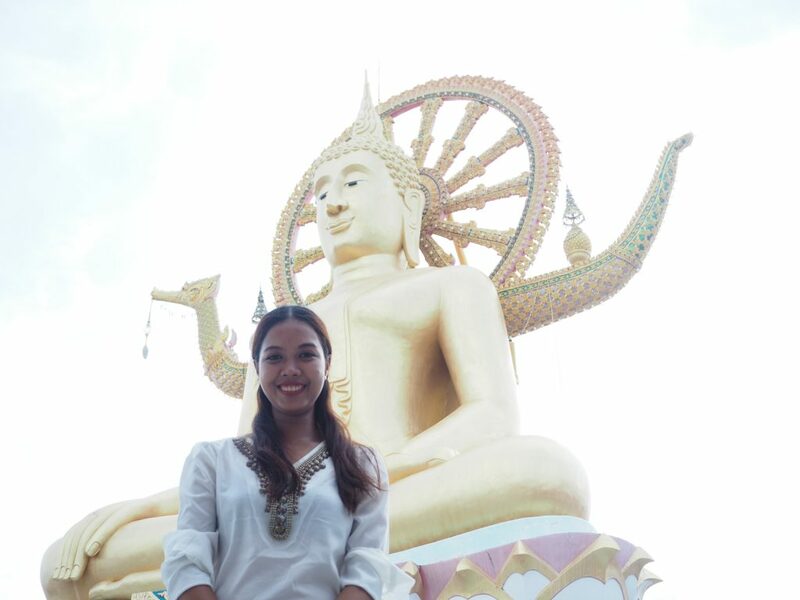 Start your day with a visit to this sacred site, pay your respects to the Buddha imagine and admire the great view of Koh Samui from the top. 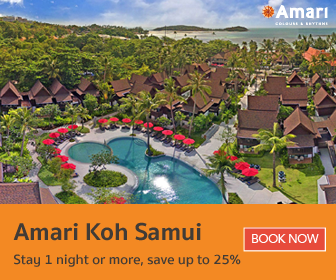 Give us a shout if you can see Amari Koh Samui from there! Are you a shopaholic who needs an air conditioned escape from the tropical heat? Then you won’t want to miss this spot! 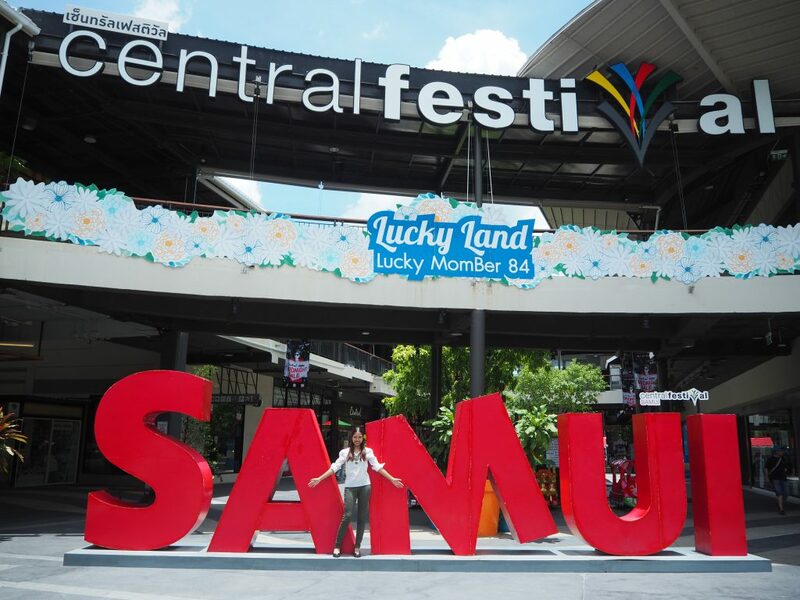 Central Festival Samui offers not only brand name goods, but also great local products. After the ride from golden pagoda, about 5 mins ride to Central Festival. Fay is glad to go shopping! There also have a night market once a week! 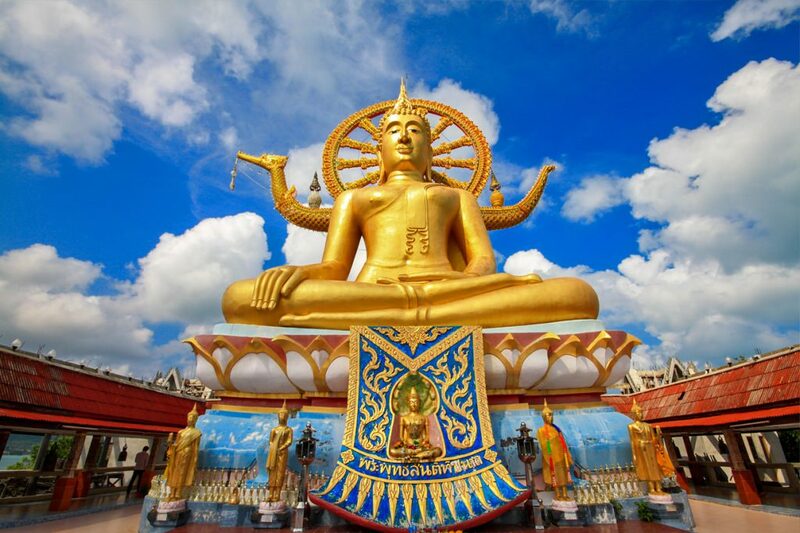 Considered to be a Koh Samui landmark, you’ll find the Big Buddha statue nearby the Bangrak Pier, only 15 minutes from Amari Koh Samui. The Big Buddha temple is one of the main temples that locals visit to pay respect and make merit. The statue is approximately 12 meters tall and is seated in the Mara pose, which is a symbol of steadfastness, purity and enlightenment. After paying our respects, I wanted to show everyone the underappreciated back of the temple. This hidden gem offers a beautiful view of Bangrak/Bophud beach, as well as beautiful sunsets. But we couldn’t stick around for that – there was more to explore! You’ll find our hotel at the northern end of Chaweng Beach, but the beach actually stretches for about two kilometres along the shore. With its rich, blue waters, this beach is truly the place to be when you’re on an island holiday. 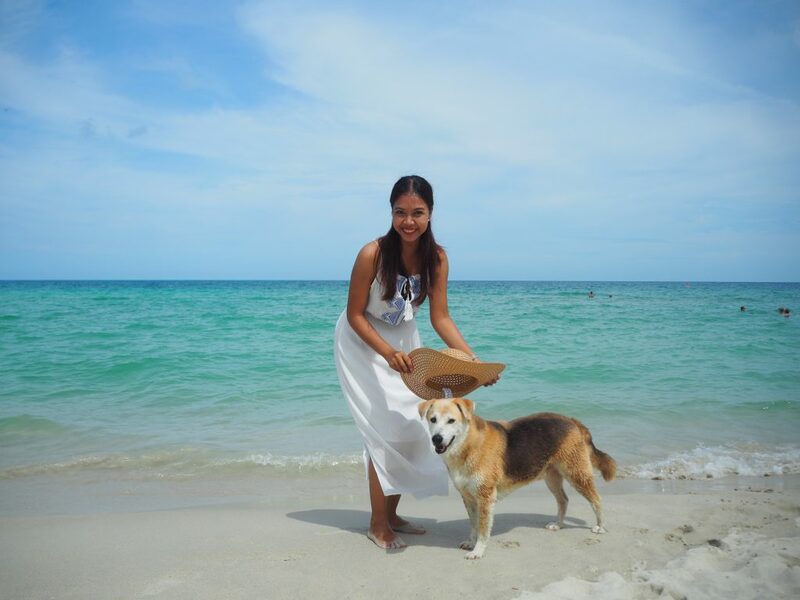 In fact, there’s something for everyone to do at Chaweng Beach. If you’re feeling lazy, just lay back and relax on the white sands, or get a soothing massage under the shade. Up for a little excitement? Then jump in the water with some kayaking or other fun water sports. Plus, while you’re here, having lunch or dinner by the sea is definitely a must! Personally, I love getting a massage by the beach and kayaking is my favourite beach-side pastime! Did you know Chaweng Lake is one of the most popular public spots for Thai residents to visit? It’s perfect for getting some fresh air with morning jogs, a basketball game with friends, or a relaxing walk with your dog. 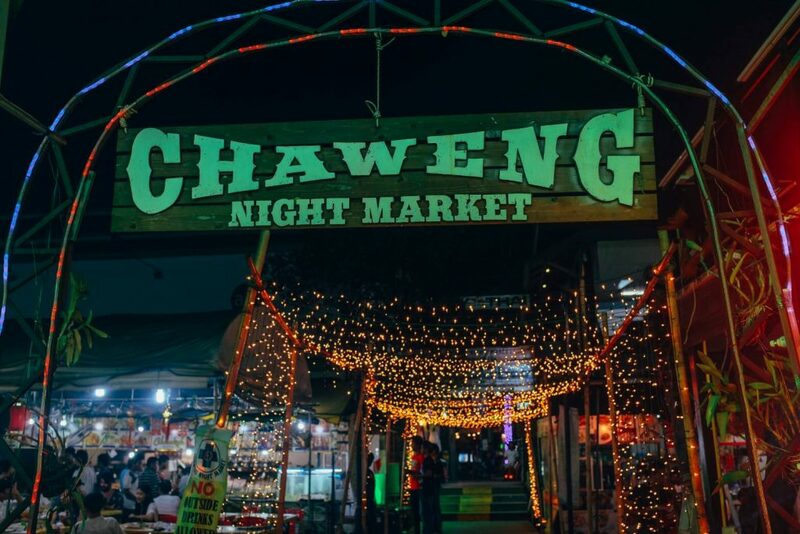 There’s also the Chaweng Market on the opposite side of the lake, where you can grab some local Thai food after your outdoor activities. You’ll find Chaweng Lake about 10 minutes south of Amari Koh Samui, nearby our sister hotel, OZO Chaweng Samui. We like to recommend our guests visit Bophud Beach every Friday evening for the local Fisherman Market – it’s only a 10-minute drive north from Amari Koh Samui. With all these great bargains and the tasty food stalls, you’ll shop til you drop. Need to take a break from shopping? 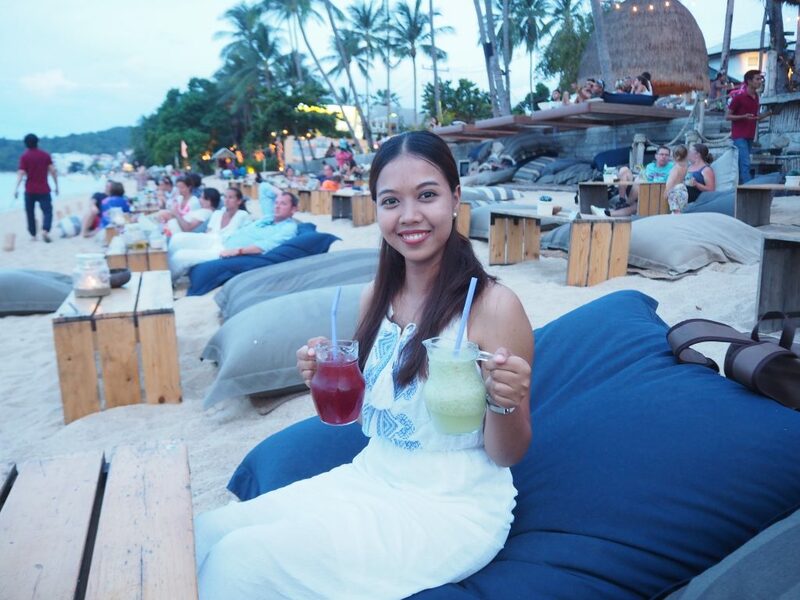 I suggest stopping by Coco Tam’s, one of the best beach bars on Chaweng with its bean bag chairs on the beach, cool drinks and an amazing view of day turning into night as you share the moment with your favourite people. It’s the perfect way to end the day. Tip: If you’re here around 9 PM, be sure to watch the fire show on the beach. It’s pretty interesting and will make for a memorable holiday. After our busy excursion, I think it’s time to call it a day. Thank you to Fay, the friendliest, pretties and funniest Amari Host of Amari Koh Samui for showing me around Chaweng Beach from the day till night.